The terms of endeerment series. Say it with a punny card! 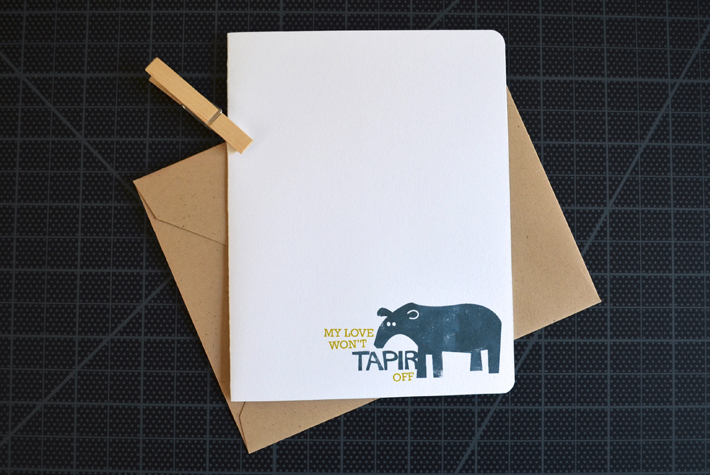 Yes, people still give cards nowadays, so if you are going to splurge on a stamp, go all the way with a handmade card. 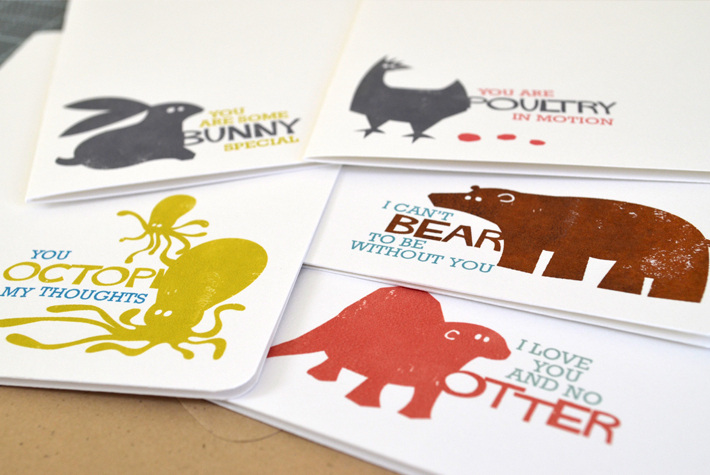 Available as individual cards or in a gift box set of six! 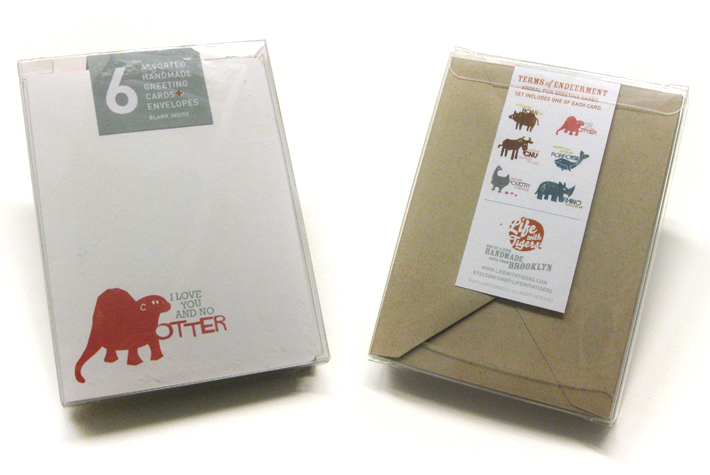 Each card comes with an oatmeal colored envelope. To see the currently available collection of handmade greeting cards for sale, visit our Etsy Shop!